After growing up in the South Hills of Pittsburgh, Kimberly Fierst attended Allegheny College in Meadville, PA, where she earned her bachelor’s degree in Biology. Upon graduation, she spent a year working in the laboratory at Jefferson Hospital. In this position, she observed the complexity of healthcare outside of clinical settings, motivating her to pursue a master’s degree in Health Care Policy & Management at Heinz College. While at CMU, Kim embraced the analytical strength of the curriculum and completed her summer residency in the Physician Services Division of UPMC within the Department of Medicine. 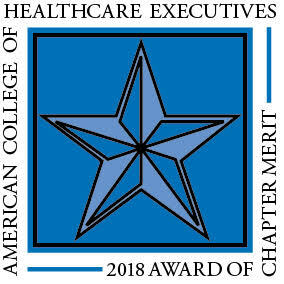 In addition to process improvement initiatives, her work largely focused on the division’s Patient-Centered Medical Home (PCMH) certifications. Following these diverse experiences, Kim was fortunately accepted into the Cleveland Clinic Administrative Fellowship Program, a year-long, project-based executive training program. During the fellowship, she collaborated with leaders from across the Enterprise in major functional areas, including Clinical Institutes, Support Services, Human Resources, International Operations, and Quality. While each project was uniquely rewarding, Kim was drawn to the problem-solving, quantitative nature of Strategy and assumed a full-time position with the office at the completion of her fellowship. Within the following year, her boss and mentor at Cleveland Clinic was hired as the new Chief Strategy and Transformation Officer at Highmark Health. In September 2016, Kim returned to Pittsburgh, reporting to him as a Strategy Consultant. In 2018, Kim moved into a similar role within the Member Engagement department for the health plan.